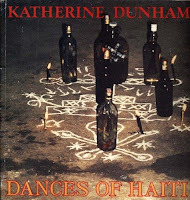 As I stated in my previous blog, I wanted to provide a brief synopsis of terms of or relating to dance movements and techniques that Dunham, in her studies of Haitian and Caribbean society and ritual life, outlined in her master’s thesis. In American culture, we can see the retentions of such movements in popular dances, but without the naming and documentation of dances it becomes harder to locate its history. This is perhaps one reason some historians shy away from studying dance histories. Banda – the name of a dance and also of an African tribe. Collé – a dance movement consisting of face-to-face contact, close together body contact. Congo Pailette – Dance of the Congo sect, line of women and men approaching each other with sexual intent. danse collé - mass dance in close body contact for example Carnival season. danse des hanches – dances which emphasize hip, pelvic, and buttock movements, serving as sexual stimulation, release, and symbolism i.e. mascaron, maison, Congo Pailette. danse du ventre – classification given to dances emphasizing the rolling of the stomach muscles; peculiar to Carnival and rara. dos-bas – a dance movement, with the back low or down, parallel to the floor. maison (mazon) – a specialized cult dance to shift from religious to sexual ecstasy, grotesquely sexual in movement and form. pou’ plaisi’ – done for fun, pleasure. rara – street dances and dance groups with characteristics of both sacred and secular dance, associated with the Lenten season and Carnival. Yanvalou – a religious dance honoring Damballa; low, undulating movements, usually in ¾ or 6/8 time. ‘zépaules – Vodun dance of Legba, or other *loas, emphasizing rapid shoulder movement. *loa(s) (lwa) – God(s). Dunham, Katherine. Dances of Haiti. Los Angeles: Center for Afro-American Studies University of California, Los Angeles, 1983. 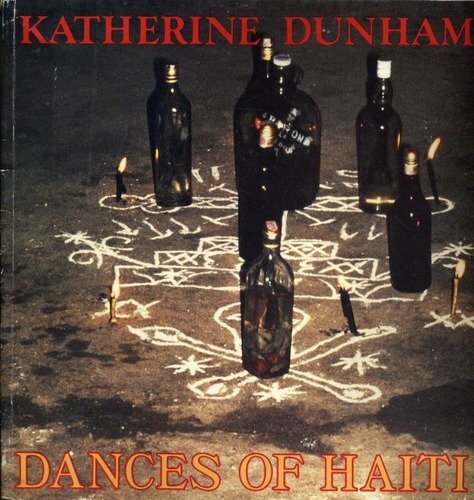 Originally submitted as her master’s thesis, “Dances of Haiti: Their Social Organization, Classification, Form, and Function,” to the Department of Anthropology at the University of Chicago in 1938. Originally published as “Las Danzas de Haití.”Acta Anthropologica II:4 (1947, Mexico; in Spanish and English) and Les Danses de Haiti (Paris: Fasquel Press, 1957) in French. This is a great concise reference. Thank you Danielle.